Public health agencies recommend that children receive the annual flu shot from the time they are six months old up until the age of 18. New flu vaccines are used each year to target the most common strains of flu. However, there has been some controversy in the past as to whether the flu shot is always effective, with accusations that some of the vaccines do not target the most common flu strains of the year. This is because there are different strains of flu each year and flu vaccines have to be developed ahead of time to target them. Despite this, health agencies are adamant that the flu vaccine is important. However, the results of the new report confirm that the flu vaccine still has a negative reputation with the public. The new report from the C.S. Mott Children’s Hospital surveyed 1,367 parents. The researchers wanted to find out why flu vaccination rates were much lower than vaccination rates for measles, whooping cough, and other diseases—the report found that only 52% of the parents reported that their children received the flu vaccine. In fact, even among parents who believe that vaccines are important, the flu shot had a more negative image. Overall, 35 percent of parents thought the flu vaccine was less important than other vaccines, while 33 percent also said it was less effective. Among parents whose children did not receive the vaccine, those numbers were even higher: 59 and 48 percent, respectively. The results show that there is a widespread public belief that the flu vaccine is ineffective. According to the CDC, an estimated 20,000 children under the age of five are hospitalized due to the flu each year. While adults often do not suffer severe side effects from the flu, it can have a more serious effect in both young children and seniors. They also suggested that parents may be confused by previous recommendations, which suggest flu vaccines only for children under five; this was changed in 2008 to include all children. Another potential source of confusion for parents is their perception of how the vaccine works. The flu shot can help prevent occurrences of influenza, but it doesn’t guarantee it. If the child gets the flu, the vaccine will reduce the severity and duration of the disease. This could lead parents into thinking that the vaccine doesn’t work, or that it somehow caused the illness. The study also found that parents whose children did not receive the flu shot were more likely to have doctors that did not believe it was necessary. In fact, these parents were over three times as likely to have a doctor that didn’t strongly recommend the flu vaccine. The researchers are calling for doctors to strongly recommend the flu vaccine to parents. “Inferiority Complex? 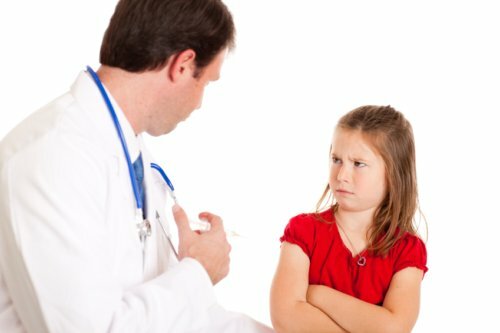 Parents Rate Flu Lower than Other Vaccines,” National Poll on Children’s Health web site, February 22, 2016; http://mottnpch.org/reports-surveys/inferiority-complex-parents-rate-flu-lower-other-vaccines.